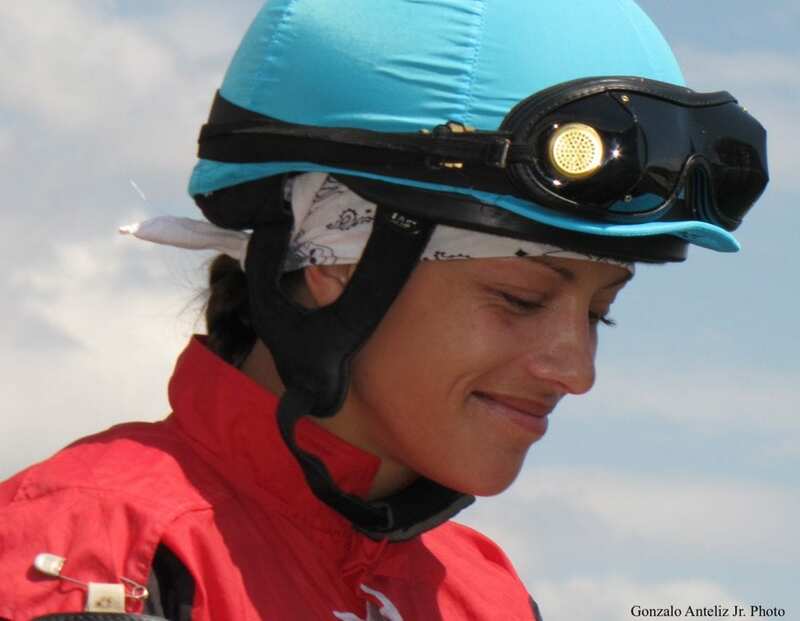 It's been a little more than three years since jockey Oriana Rossi vowed she would return to the saddle, and she remains fixated on that goal. Rossi was aboard Top Priority in the fifth race at Indiana Grand on July 22, 2015 when a horse in front of her clipped heels and went down. Top Priority, unable to avoid the downed rival, went down also, landing on Rossi. The lifelong rider has watched video of the spill over and over in the years since, trying to analyze and understand what happened. She remembers nothing of that day, or the one before it, and she doesn't remember the two weeks that followed at Indiana University Health Methodist Hospital. Rossi suffered multiple fractures to her back and neck, including the T6 vertebra, which was broken in half. The motion of that vertebra breaking damaged her spinal cord, but doctors told her it was an “incomplete spinal cord injury” which means there is hope the spine could repair itself. Unfortunately, doctors can't tell her the chances that she could regain full function of her legs or how long it could take. It's not unusual for this type of injury to heal slowly, over a period of years. That's one of the toughest parts about it for Rossi – the unknown. “The problem with this kind of injury is there is no firm prognosis which is the frustrating thing about it,” she said. “They can never tell you whether you'll be ok in five years or two years or ten years. They can't tell you how much recovery you might have. It's too complicated of an injury and no two injuries are the same. Rossi said she deals with this uncertainty in the same way jockeys often say they deal with the knowledge each day in their saddle could be their last – by putting that aside, focusing on the moment, and soldiering on. In the first months after her fall, Rossi regained feeling and some movement in her right ankle, foot and lower leg, but no movement in her left. Now, she's able to walk with assistance. She continues a rigorous program of physical therapy and works also. She has also renovated her house, doing some of the work herself. Rossi grew up riding in England, starting with a naughty Welsh pony named Eddie her mother bought when she was two. She recognized early on there was nothing like a gallop in the field to put a smile on her face. She started working at Newmarket in the summers as a teenager, grooming and galloping, making it her full-time occupation when she graduated school at 16. She moved to the States in 2006. Rossi didn't start riding races seriously until she was in her twenties. She told the Indy Star her jockey career launched because of a slightly lazy Thoroughbred. The horse worked well for her in the morning but seemed dull and uninterested in the afternoon. She went to the starting gates hoping she could inspire him. She had limited success motivating him, but the horse inspired her. 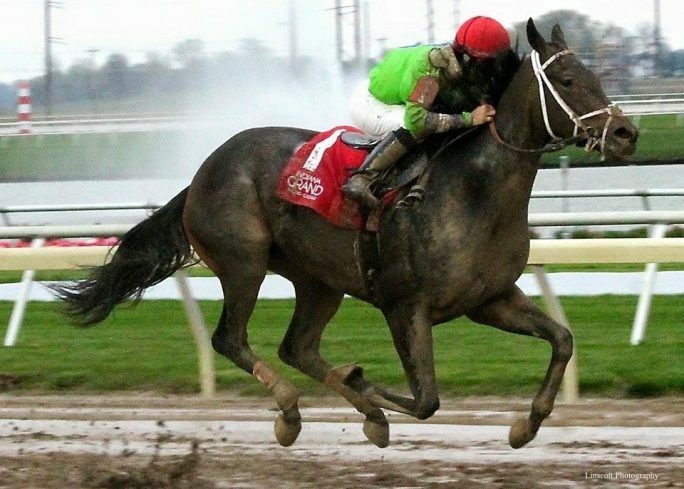 She rode him at Ellis in the summer of 2009 and picked up work quickly, winning her first race 10 rides later. To date, Rossi's mounts have won 292 races and earned nearly $5.7 million. Despite the pain of her injuries, Rossi said she'd have no hesitation getting back in the saddle as soon as she's able. And she doesn't think that has anything to do with not remembering the trauma of the accident. Getting back on a horse is still the end goal, and Rossi said she's not giving up. As she continues her locomotor training, she isn't thinking about the next milestone in her therapy. She's thinking about the last one. Spoken like a true jockey. This entry was posted in Lost And Found, NL List, People and tagged Horse Racing, jockey spills, Jockeys, Lost And Found, oriana rossi, Paulick Report, thoroughbred by Natalie Voss. Bookmark the permalink.